Roof Guard - Fascia/Soffits/Guttering, Roofer based in Toll Bar, South Yorkshire. Welcome to our Checkatrade profile page. 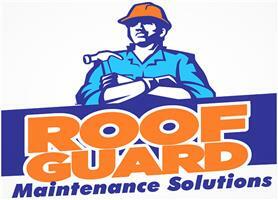 Roof Guard has been family run since 1987. We are a 2nd generation roofing company which prides itself on the quality of work completed. We have built up a reputation over the years as an honest, trustworthy, and reliable company and have an excellent track record and many satisfied customers. As a 2nd generation roofing company, we have lots of experience in all aspects of the roofing trade and finish all of our work to the highest standard. We only use quality products to ensure the job is made to last, that's why all our work is covered by our guarantee. We offer free ADVICE and QUOTES as all jobs are different. One of our qualified team members will call round by appointment, and will give you professional advice and a competitive quotation, we do not take any deposits or part payments, you will only pay when the job is finished and you are completely satisfied. For more information on any of our services or products please visit our website www.roof-guard.co.uk for all your roofing needs. Look no further than your local, family run business.